Professor Golubov received her master’s in Victorian literature from Leeds University and her doctorate in English literature from the University of London. She is currently a professor at the UNAM School of Philosophy and Letters, where she teaches English literature, literary theory, and cultural criticism in the undergraduate program on modern letters and in the Graduate Program in Letters. She belongs to the National System of Researchers, level I. Her areas of interest are literary theory and cultural studies, feminist and gender theory, as well as twentieth- and twenty-first-century English and U.S. literature. Outstanding among her recent publications are El circuito de los signos: una introducción a los estudios culturales (The Circuit of Signs: An Introduction to Cultural Studies) (Mexico City: Cisan/Bonilla Artigas Editores, 2015); her editing of Diásporas: reflexiones teóricas (Diasporas: Theoretical Reflections) (Mexico City: CISAN, 2011); La crítica literaria feminista: una introducción práctica (Feminist Literary Criticism: a Practical Introduction) (Mexico City: School of Philosophy and Letters-UNAM, 2012); “La teoría literaria feminista y sus lectoras nómadas” (Feminist Literary Theory and Its Nomadic Readers) in Discurso, teoría y análisis (Discourse, Theory and Analysis) no. 31 (2011); and “Una identidad en ciernes: las pesadillas del sueño americano” (A Budding Identity: the Nightmares of the American Dream) in Circulaciones: trayectorias del texto literario (Circulations: Trajectories of the Literary Text) (Mexico City: School of Philosophy and Letters-UNAM/Bonilla Editores, 2010). In collaboration with Rodrigo Parrini, she edited Los contornos del mundo: globalización, subjetividad y cultura (The Contours of the World: Globalization, Subjectivity, and Culture) (Mexico City: CISAN-UNAM, 2009). Some of her papers and articles can be downloaded from http://unam.academia.edu/NattieGolubov. “The America Effect: Subjectivity, Consumption, and Globalization” (PAPIIT IN401914). “Theoretical and Critical Horizons for the Contemporary Figure of the Author.” PAPIIT IN405014-3. 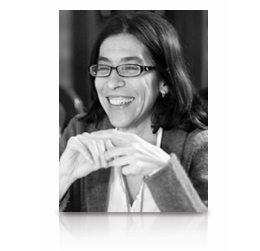 Project head: Dr. Adriana de Teresa Ochoa, UNAM School of Philosophy and Letters. “Critical Studies on Popular Genres.” PAPIME PE400914. Project head: Dr. Noemí Novell Monroy, UNAM School of Philosophy and Letters. with the proviso that it cannot be altered, and that it quotes the complete source and electronic address.